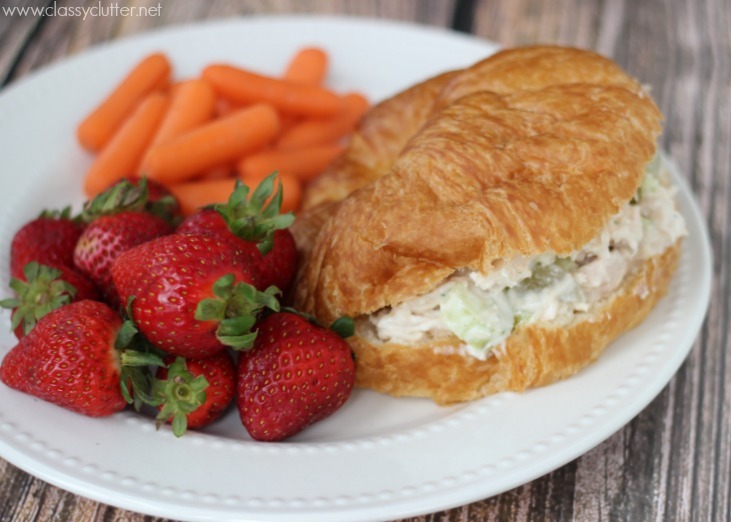 This easy and delicious chicken salad croissant is the perfect lunch and packed full of fresh ingredients! 2-3 Tablespoons of Mayo depending on your taste – I used organic that doesn’t contain sugar. 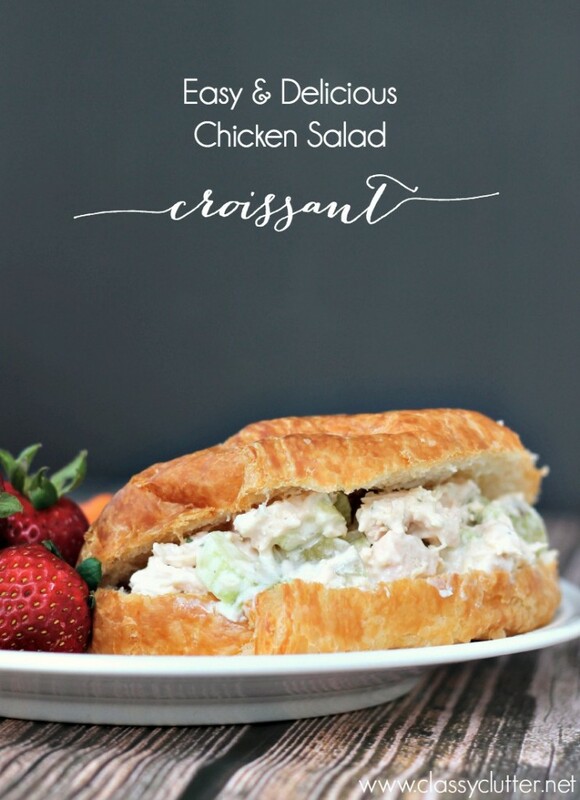 Using a serrated knife, slice croissant open, leaving one side in tact so the chicken salad doesn’t fall out when you eat it. Set aside. Combine all remaining ingredients in a small bowl then spoon into croissant. Easy, right? This is such a great quick and easy lunch that is pretty healthy even! These are also great for parties on mini croissants! Yum! !